Trauma Incident Reduction (TIR) is a brief, one-to-one, non-hypnotic, person-centred, simple and structured method for permanently eliminating the negative effects of past traumas. You may discover one or more insights – often major – concerning a trauma, life, or yourself. You may display positive emotion, but you should at least experience calm and balance, feeling significantly less or no more negative emotion in relation to your trauma(s). A Traumatic Incident Reduction session does not finish until you reach an end point and feel ok. This may take anywhere from a few minutes to 2 hours. The average session time for a new client is 90 minutes. Firstly you will meet with your psychotherapist for a 1 hour session where you will talk about what you are experiencing. At this time your psychotherapist will be able to give you an estimated length of time of your Traumatic Incident Reduction session, which can then be scheduled. Where is Traumatic Incident Reduction Available? Our offices are in Newton Mearns and Glasgow. Telephone, video call (Skype) and home visit appointments are available if you are not able to reach us. Is Traumatic Incident Reduction Confidential? Traumatic Incident Reduction is carried out by specially trained counsellors and psychotherapists, who are members of the British Association of Counselling and Psychotherapy (BACP) or the British Association for Behavioural and Cognitive Psychotherapies (BABCP) and adhere to the relevant code of ethics. We have a choice of Counsellors and Psychotherapists who are BACP accredited. Your confidentiality is taken very seriously and will only be broken in extreme circumstances. For more information see our client agreement. 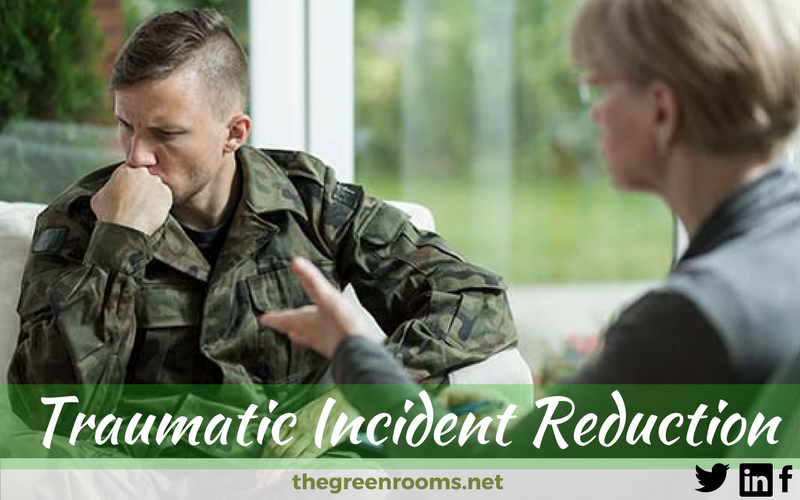 What can Traumatic Incident Reduction help me with? You have experienced a specific trauma or set of traumas that you feel has adversely affected you, whether or not you have been given a formal diagnosis of ‘PTSD’ (post traumatic stress disorder). You react inappropriately or overreact in certain situations, and you think a past trauma might be the cause. You experience unaccountable or inappropriate negative emotions, either chronically or in response to certain experiential triggers. What is the anticipated outcome of Traumatic Incident Reduction? In the great majority of cases, Traumatic Incident Reduction results in the complete and permanent elimination of trauma symptoms, and usually provides valuable insights. By providing a means for completely confronting a painful incident, Traumatic Incident Reduction delivers the positive gain you would have had if you had been able to fully confront the trauma at the time it occurred. How and Why does Traumatic Incident Reduction work? 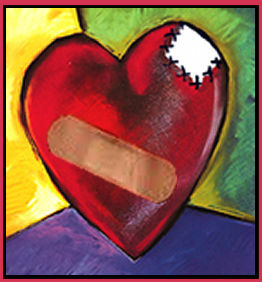 A trauma contains repressed material including one or more intentions. At the very least, there is the intention to push it away, to blot it out, to repress it. And there are usually other intentions as well, such as the intention to fight back, to get revenge, to run away, or (quite commonly) the intention to make sure that nothing like this incident ever happens again. Fulfilling the intention, whereupon it ends spontaneously. Unmaking the intention. Even if you don’t fulfil an intention, you can decide not to have that intention anymore and cause it to end. This, however, requires a conscious decision. You have to be aware of the intention and why you formed it. But what if the intention is buried in the middle of a repressed trauma? In this case, neither condition (1) nor (2) can be satisfied, and the intention persists indefinitely. The person remains in the period of time defined by that intention, i.e. the person remains in the traumatic incident. The incident floats on as part of present time and is easily triggered (i.e. the person is easily reminded of it, consciously or unconsciously). The only way a person can exit from that period of time (and from the intentions, feelings and behaviours created by the trauma) is by confronting the incident, whereupon one can see what intentions were formulated at the time of the incident, and why they were formulated at that time. Then, and only then, can you satisfy condition (2), above, for ending an intention, and can you let go of the intention. Without a thorough anamnesis, condition (2) can not be satisfied. Traumatic Incident Reduction allows that anamnesis to take place. What research exists to support the effectiveness of Traumatic Incident Reduction ? Charles Figley and Joyce Carbonell have studied four different approaches to trauma resolution: Traumatic Incident Reduction, EMDR, VKD, and TFT. In their view, all are very effective. Lori Beth Bisbey completed a study of 57 victims of violent crime in February 1995. The study compared Traumatic Incident Reduction to DTE and waiting list controls, using a variety of test instruments, on crime victims with PTSD. Waiting list controls showed no significant improvement over time; DTE showed significant improvement over controls (P < .01) on test instruments relating to PTSD; Traumatic Incident Reduction performed significantly better than DTE (P < .01) on most test instruments. This study was part of her Ph.D. thesis and was done under the auspices of the California School of Professional Psychology, San Diego, CA. Lori Beth Bisbey completed a study of 57 victims of violent crime in February 1995. The study compared Traumatic Incident Reduction to DTE and waiting list controls, using a variety of test instruments, on crime victims with PTSD.Charles Figley and Joyce Carbonell have studied four different approaches to trauma resolution. What are the contraindications and risks for Traumatic Incident Reduction? Are psychotic or nearly so. Traumatic Incident Reduction is most definitely an “uncovering” technique and hence is not appropriate for such clients. Are currently abusing drugs or alcohol. Clients must inform their psychotherapist of any medications or drugs they use regularly. They should avoid taking pain killers, sleeping pills, tranquilizers or any other medication or drugs which might impair physical or mental abilities, for at least 24 hours prior to a session. Some substances require a longer abstinence before a session can take place. Are not making a self-determined choice to do Traumatic Incident Reduction. For Traumatic Incident Reduction to work, the client has to really want to do it. If the client is there under duress (e.g. trying to please someone)Traumatic Incident Reduction will not work. Are in life situations that are too painful or threatening to permit them to concentrate on anything else, such as a Traumatic Incident Reduction session. If the client is afraid of being attacked, or is preoccupied about the possibility of having cancer, or engaged in constant arguing with their spouse, such issues/situations would have to be addressed first before the client will be ready to do Traumatic Incident Reduction. Since the Traumatic Incident Reduction technique is completely client-titrated, client-timed, and non-forceful, clients will protect themselves if they are getting in too deeply by simply discontinuing the procedure. Hence there are no known cases of negative effects from properly facilitated Traumatic Incident Reduction. As the client’s interest is followed at all times, resistance is not often encountered. N.B. This information was taken with thanks from the ‘Trauma Incident Reduction Association’ website with permission from Marian Volkman.